PST means Personal STorage and the file format represents a personal folder in Microsoft Outlook. These files contain all data in Outlook once the Exchange Server is not accessed. By default, the PST files are stored in the Unicode format on Outlook 2003 and 2007 with maximum size of 20 GB. Microsoft Outlook data management application is designed to offer a number of services such as contacts managements, email management and so on. Outlook is actually an email client that is very user-friendly when it comes to helping you to manage and control information systematically using Exchange server technology. In addition to storing emails both in outbox and inbox, it can manage all the notes, tasks, calendar items and other important data on your hard drive. Outlook will store all the information that it creates in .pst file format. The information below will tell you about scenarios involving the lost or deletion of these files and how you can resolve the issues with a PST recovery tool. 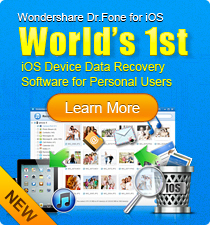 Wondershare Data Recovery is the ideal software solution. 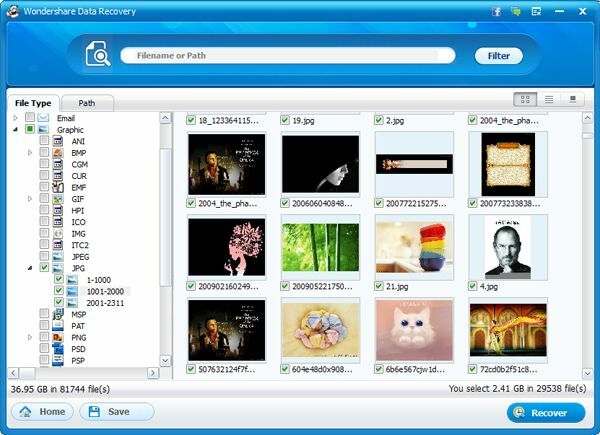 This PST recovery tool from Wondershare will help you to recover all the deleted PST items in a few minutes. This include PST data such as emails, contacts, folders, calendar items, notes, appointments, RSS feeds, meeting requests and more. In fact, this software is designed to recover more than 550 file formats so it will come in handy when you want to recover documents, videos, emails, audio and photos. Note: Recover PST files (up to 100MB) for FREE with the Windows version. Install PST recovery software to an external HDD or a partition your PST flies don't reside in. Please follow the easy steps below to recover PST files. Choose the wizard mode to recover PST files by answering questions step by step. Scan and recover PST files to another partition or disk. Let’s take a look some of the scenarios associated with PST file deletion and why people need to recover PST files, so you can avoid losing PST files. A Trojan horse virus could attack your files. This virus is very destructive and it is responsible for loss of data, system failure and data poaching. If you are a regular internet user, you will know of the potential threats that this virus cause since it is the main reason why your PST file will lose important data. When you have to deal with this problem, you need to get a good recovery software tool to retrieve the deleted items efficiently without interfering with the original document. Sharing PST files across a network, and more. Download WS PST Recovery for Mac software now to recover lost PST files in a fast and easy way.